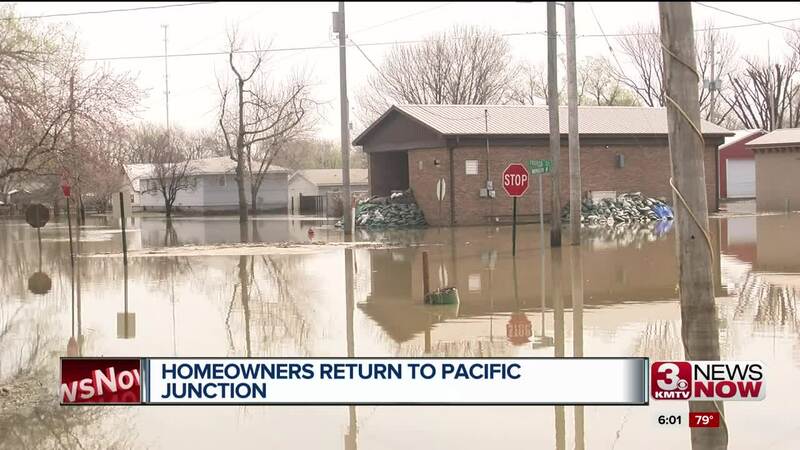 PACIFIC JUNCTION, Iowa (KMTV) — Pacific Junction residents are frustrated people aren’t talking about all the damage in their town. Danny Propst lost his home in Pacific Junction. He and his wife have been living in a camper since they evacuated on March 17. Propst said the damage to his home is shocking. The water went over the roof and brought the ceiling to the floor. We were walking about two feet of insulation, mud and water. Even the road Propst lives on is still flooded. He took his granddaughter under his wing and is afraid to let her see home. Propst thinks FEMA should buy everyone out of their damaged homes at fair market value so they can start over. He said he has been having trouble submitting a claim with his insurance company and FEMA. A local State Farm Insurance agent told us they don’t offer any type of flood insurance; however, people with regular home-owners insurance policies, like Propst, can file a non-record claim. This claim doesn't count for insurance purposes but goes on record for FEMA. So far, Propst said FEMA has given him $927 in rental assistance. “And they're probably not going to give it to us again,” he said. He believes his future, and Pacific Junction’s, looks bleak with out any significant help.